The Flintkote Company was established in 1901 and is best known for manufacturing roofing materials. Although the company later added other product lines, roofing remained its core industry until it closed in 1987. For decades, Flintkote's flagship product was asbestos roofing shingles. Asbestos was used in many products that required durability, low cost and heat resistance. Although durable, products with asbestos are potentially dangerous if they are damaged or disturbed. Flintkote incorporated in Massachusetts in 1917 and expanded into Europe in the 1920s. Products containing asbestos were introduced around 1930. In 1956, Flintkote began acquiring companies that produced gypsum, pipes, paper products and new types of asbestos cement. By 1963, the company maintained 126 manufacturing plants in the U.S. and 21 international plants. By 1971, Flintkote’s workforce grew to 11,300 employees. Health organizations began alerting governments and residents about the harmful properties of asbestos as early as 1940. Many companies ignored the warnings and continued using asbestos in products — exposing workers in the process. Companies did not begin phasing out asbestos until the 1970s, when the U.S. Department of Labor’s Occupational Safety and Health Administration (OSHA) and the U.S. Environmental Protection Agency (EPA) declared it a hazardous material and instituted regulations. On May 15, 1982, Flintkote stopped manufacturing products that contained asbestos. Two years later, the company no longer distributed asbestos-containing products. Manufacturers are required to provide a materials safety data sheet (MSDS) that lists any carcinogenic potential in the workplace. Despite current regulations, Flintkote asbestos materials could still be present in some older buildings that have not undergone renovations. Exposed to Asbestos at The Flintkote Company? Flintkote began dealing with asbestos-related personal injury lawsuits in the early 1970s. Flintkote’s insurance generally disbursed resulting settlements and awards until 2001, when certain insurers began withholding or delaying payments. This withholding — combined with an increasing number of asbestos and mesothelioma claims — forced the company deep into debt. 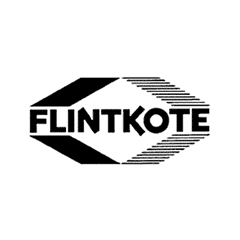 Flintkote sold its construction, stone and cement manufacturing plants in 1987 to secure more money to pay asbestos-related claims. Because of the number of asbestos-related lawsuits against Flintkote and partner company Flintkote Mines, the companies filed for Chapter 11 bankruptcy on May 1, 2004. In its bankruptcy filing, Flintkote listed $160 million in assets and $70 million in asbestos legal liabilities. The company had already paid $630 million for more than 350,000 lawsuits and 155,000 cases were pending. Flintkote and Flintkote Mines eventually established a trust to handle ongoing and future asbestos-related claims. Using pre-established guidelines, trust representatives determine the severity of each claim and the award total. On September 30, 2015, the Amended Joint Plan of Reorganization for The Flintkote Company and Flintkote Mines Limited went into effect. The current payment percentage for the trust is 8 percent of the scheduled value for expedited review and 8 percent of the gross settlement value for individual review. Asbestos-related claims came from employees and workers in various occupations who were exposed to asbestos-containing Flintkote products during their employment. In addition to Flintkote facility workers, roofers, car mechanics, floor tilers, construction workers, insulators, plumbers, road pavers, railroad builders and pipefitters may have used asbestos-containing products produced by the company from 1935 to the early 1980s. Vinyl and asphalt resilient floor covering products contained as much as 20 percent asbestos.